November | 2012 | Sonic Smash-Music! 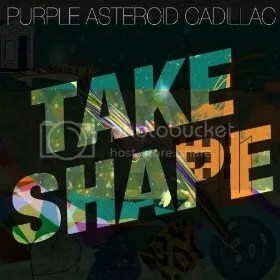 Iowa hip-hop band Purple Asteroid Cadillac is releasing their breakout debut LP “Take Shape.” The album features eleven original hip-hop tracks comprising nearly forty minutes of back-to-back, heavy-hitting urban classics. The beats are heavy, the lyrics hard, the poetry flowing like liquid groove in one long, rolling wave of jazz and funk. Steeped in the Chicago traditions of drum and bass going clear back to the disco era, Purple Asteroid Cadillac’s neo-soul sound is poised to shake the Mid-West music scene like a rattle. The core of Purple Asteroid Cadillac are Rafael Greene and Shane Johnson. Greene (also sometimes known as Fooch, the MC) is originally from Chicago, Illinois, where he has been part of the rich, burgeoning hip-hop culture since 1993, although he notes of his musical experience that he has only begun taking his hip-hop seriously since 2008. Johnson (also called SHZA) on the other hand, is both an autodidactic musician as well as a classically trained one. His mainstays outside of hip-hop music are jazz and funk, which strengths are plainly showcased in Purple Asteroid Cadillac. Greene has been a part of the flourishing Chicago Hip-Hop scene since 1993, but started taking his music seriously in 2008. Shane Johnson is a classically and self-taught musician with concentrations in jazz, funk and hip-hop. He is also the voice and personality behind KRUU fm’s popular radio programs, “Universe Party” and “The Lounge Body.” Together as Purple Asteroid Cadillac, Johnson and Greene have performed on the big stage with such famous artists as Warren G., Scratch Track, and the Kidz in the Hall. Vice-President of A&R for DefJam Records, Lenny Santiago, has spoken very favorably of their collaborative efforts. With a sound influenced by the likes of hip-hop heroes Nas, Dr. Dre, Wu-Tang, Tupac, and Biggie Smalls, as well as soul legends James Brown and Stevie Wonder, Purple Asteroid Cadillac has performed over 140 live shows in their young career, creating four complete albums using four separate sound studios without feeling the need to publish them. “Take Shape” is, therefore, an entirely appropriate title for their flagship debut release. Fans of hip-hop music everywhere would be in great error to miss this adventurous powerhouse record. 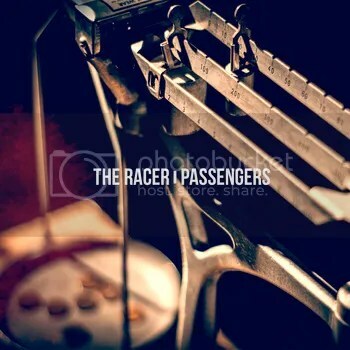 Indie rock band from New York, The Racer is releasing their newest LP album, “Passengers.” The record is their most ambitious project to date, with over forty minutes of original music in twelve tracks, including a powerful introduction. The sound is easily better than the most popular singles being played on alternative radio stations today, and while this may seem extremely biased, even by music-journalism standards, the sheer divide between the quality of today’s top performers and the superior power, groove and elegance of The Racer remains positively undeniable. The sound of “Passengers” is grounded in alternative rock with indie rock overtones, similar to what might happen with a cross between early Pearl Jam and late Fugazi, with Pearl Jam lending their exceptional vocals and overarching tenderness through every hard-rocking moment, and Fugazi representing the profound creativity and complexity that infuses each of The Racer’s tracks, both in lyrical poetry and prominence of percussion. The Racer’s guitars use a tasteful array of tones, some warm with a balanced amount of distortion, some clean and full of middle-range, all of them played with neither pretentiousness nor frivolity. The bass is more than a backbone, its lines cleverly walking up and down the neck in perfect marriage to the drums. The Racer’s drums are arresting, volatile, and often surprising – never predictable except in keeping consistent time. Their vocals, even amid this surging sea of remarkable talent in composition and performance, still manage to stand out. The singing is intrepid, clarion, and beautiful without being effeminate, a quality most male singers in the indie rock scene have forgotten. Lyrics, too, along with the rest of the songwriting, are key components to what makes The Racer truly incredible. Whether “Passengers” will be the album that moves The Racer into the mainstream spotlight or not remains to be seen, but the question of success is plainly answered. As a work of fine musical art, more success has not been seen in a record than exists in “Passengers” by The Racer. Veteran listeners and music fans, you have been alerted. In the beginning was the DJ, and the DJ created the beat, and the beat was good. This is the closing line of Brisbane digital music artist Doodis’ official website, the artist sometimes called “the Invisible Doodis,” who is releasing his standout new EP, “Hypnotic Dreams.” He wears this moniker as casually as he does his infamous wardrobe of face masks. More important than his image, however, is his sound – or more properly put – his sounds. The pieces from “Hypnotic Dreams” are widely varied and appropriate for seemingly disparate emotions. Does the listener feel melancholy? The album has blue tracks for that. Optimistic? Doodis does glad. Lurky? Doodis has creepy tracks, too. His style overall is razor-sharp and clean, with lots of space between the individual loops and beats, not unlike the original innovators of electronica in the United Kingdom, such as MC 900’ Jesus or The Orb. 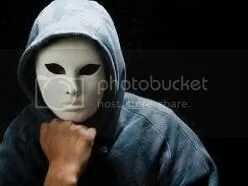 The Invisible Doodis, so-called, is so-called for his penchant for creating an illusion for himself using the aforementioned masks. There is debonaire Doodis, resting Doodis, frog Doodis, creepy hoodie Doodis, pervert gentleman Doodis, gas-mask with bouquet Doodis, romantic Doodis (a-la French masquerade), and heavy metal Doodis (a skull hovering above a black jacket). Mystifying and strangely addictive in character, Doodis seems to exist as the embodiment of his music. The tapestries he weaves – and there are many – are uniquely wonderful to hear. Every fan of electronic music owes it to himself to give “Hypnotic Dreams” a sit-down listening. Doodis will not be able to stay invisible for long. Veteran acoustic music trio The Price Is Rice have released their new single “With Eagles Might” on Acoustic Revolution Records. The song is a spirit filled composition in the tradition of classic American rock and roll, not unlike acoustic numbers penned and performed by the likes of Crosby, Stills, Nash and Young, Don McLean, or Roy Orbison. 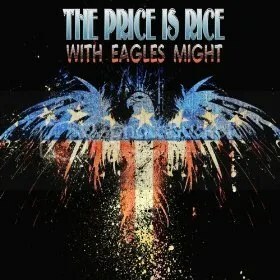 The Price Is Rice single, “With Eagles Might” is available at the best online distribution sites starting December 8th, 2012, and is worth any music fan’s listen. After all, it’s helping the US of A heal where it hurts most. 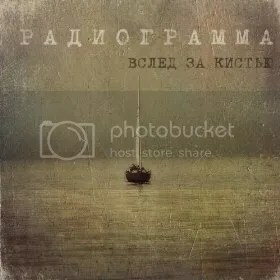 Russian band Radiogramm has broken all boundaries with their latest album, “Following the Brush.” The record is a full-length masterpiece comprising thirty minutes of music in nine original songs. The music is exceptionally creative and pleasant, unique without being pretentious, and easily the most remarkable music from St. Petersburg in 2012, possibly much longer. Their sound lies somewhere between indie and modern folk with delicate Latin undertones, a dash of urban hip-hop, and with a strong presence of jazz influence to ground the mixture. Utilized instruments include, among more obvious inclusions, the violin, the cello, the sitar, and the triangle. Each track on “Following the Brush” presents a slightly different style, showcases a different perspective of their panache. Some tracks are extremely jazzy, while others are more calloused and contemporary. Others are as romantic as a Spanish rose garden in the spring, and still others are just a whit away from disco funk. Radiogramm has one of the most widely varied (and most widely exquisite) repertoires in the music scene today. This is not necessarily a surprising end result when one considers their roots: among their most important influences, they list Damien Rice, Lamb, Grizzly Bear, and Radiohead – in that order. Upon being asked what message their music is intended to bring to their legions of fans, they write, “Music is universal; it has no boundaries.” The statement is certainly true for Radiogramm. Radiogramm is a project created by Mike Egorov, a singer and songwriter based in St. Petersburg. This record, “Following the Brush” represents his second album to be recorded and mixed at Snap and Bid Blue Water Studios in London by the infamous Jerry Boys. Boys is world-renowned for his Grammy-Award winning production and engineering and lends his art to Radiogramm in conjunction with Alexander Titov for the Red Book Music label. Neeko has been singing for a long time – the artist says he was singing before he could talk. Born May 26, 1996 in London, England, the young artist was acting and singing on television, in film and on stage from a very early age. He attended the World class Sylvia Young Theatre School in London and it was there that he developed his passion for music. It’s no surprise then that at the age of sixteen, he’s already releasing his debut single. As Neeko, the artist recorded “Be Your Man” at the Paramount Recording Studios in Hollywood, and now the single is ready to make its debut November 15. Neeko moved to southern California in 2011 to pursue his passion for singing, and has quickly moved up the ranks and earned a legion of fans. “Be Your Man” is just the first step in taking that passion for music to the next level and sharing it with the world. Neeko’s influences include artists like Drake, Kanye West, Justin Beiber, Frank Ocean. The impact those performers have had on Neeko is evident in the arrangements and production of “Be Your Man” – a slick and catchy pop song with a hip hop vibe. “Be Your Man” is of course, a love song. It’s about devotion, and commitment. Neeko might sum up the meaning behind “Be Your Man” better than anyone else. Neeko is currently at work recording new material for his upcoming debut album, which is scheduled for release sometime next year. If “Be Your Man,” is any indication, it’s an album to look out for. Multinational music prodigy the SS Frequency is releasing his full-length self-titled album to resounding acclaim. The record is published on the Osiris Musical Production label, and is a marriage of digital electronica, rock n’ roll, and various elements of ethnic music. The sound is clean, rhythmically charged, and the end result of many years of artistic development. 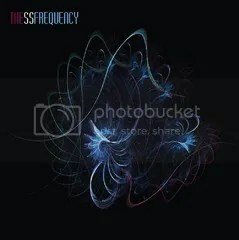 The SS Frequency is no newcomer to the music scene. Originally from Bahrain, he made a living in bands touring the college circuit in the United States for close to a decade before returning to his home country in 1989 as an electrical engineer. Still, the music scene there seemed underdeveloped, and Frequency made up his mind to add his talents to what he has called a “fledgling scene.” Performing concurrently with bands such as Osiris, Requiem, and Hard to Handle, he also worked as a DJ for Radio Bahrain 96.5 playing rock music. Leaving the Middle East for England, he again worked in radio as a producer for MBC for years before returning once more to Bahrain to start a now-famous dance show called SilkyCuts. Although many bands from many walks of life have had a positive effect on SS Frequency, his major influences include (but are not limited to) such historical artists as the Beatles, Led Zeppelin, Rush, Thin Lizzy, and Jethro Tull, legends whose mark on Frequency is as indelible as his own tracks will undoubtedly prove.